In the current economic climate, we all need to save where we can. Luckily for jewellery lovers and fashionistas, cost effective coloured gemstone jewellery is the new must-have addition to your collection. 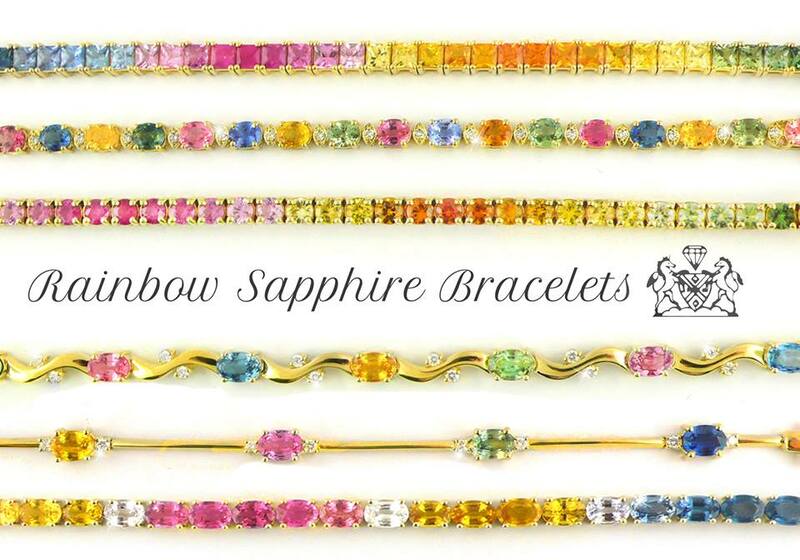 Think graduating rainbows, cheeky-cheerful colour combinations and stones so bright, they look good enough to eat. The new golden rule in jewellery is to wear as many colours as you can. With an array of beautifully coloured gemstones to choose from, it is important to know a bit more about these splendid stones. Did you know sapphires come in just about every colour you can think of? Although most commonly seen in its royal blue form, this gem is the most versatile in terms of colour. With the added benefit of being hard wearing, sapphires are perfect for funky investment pieces to wear every day, or a colourful engagement ring alternative to diamonds. Available in multiple shades of blue, clear and smoky brown, the topaz family is another answer to impressive stones that won’t break the bank. Famous for amazing clarity and beautiful faceted cuts, topaz is a must have, but if you’re into the watery blues, also consider aquamarine. Much like sapphire, tourmaline comes in a rainbow of colours, but is most commonly found in watermelon pinks and a variety of greens. Being one of the harder wearing gemstones, tourmaline is also great for affordable everyday wear. Besides these well-loved examples, there is a world of coloured gemstones to experiment with. So have fun expressing your individually this season with rainbow and coloured gemstone jewellery perfect for every occasion. At Mark Solomon Jewellers we cater to a wide range of fine jewellery lovers. Quality for quality we offer the best custom, handmade jewellery, coloured gemstones and diamond prices in South Africa. Visit our showroom or contact us today for more information on our exclusive range.